This lightweight woollen garment is fringed at the end, and is a generous 70x70cms (27"x27") approx. It can be worn in many styles, and may even be used as an attractive table decoration! 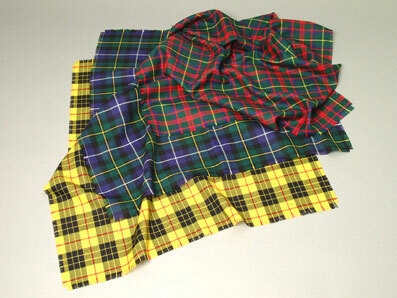 As illustrated, but in the Wood clan/family tartan.